Philippe Lefebvre began studying organ, improvisation and composition at the Conservatoire de Lille and then at the Conservatoire National Supérieur de Paris, where he studied with Rolande Falcinelli. At age nineteen, he was appointed tenured organist at Arras cathedral. In 1971, he won the premiers prix for organ and improvisation from the Conservatoire National Supérieur de Musique de Paris, and subsequently took first prizes for counterpoint and fugue. He was the winner of the Prix de la Fondation de la Vocation, the premier prix for improvisation at the Lyon competition in 1972, and the prestigious Grand Prix for improvisation at the Chartres competition. 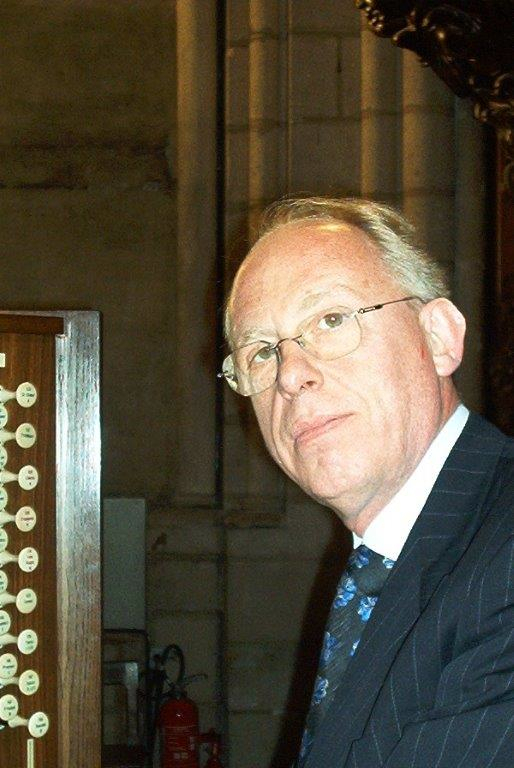 In 1976 he became organist at Chartres Cathedra and then, in 1985, he was appointed as one of the titular organists at the Cathedral of Notre-Dame in Paris. For over twenty years, Philippe Lefebvre was Director of the Conservatoire de Lille (1980-2003). Under his leadership, this great school of music, theatre and dance (the oldest in France), became one of the most important and renowned conservatories in France, drawing some 1,700 pupils and students. He continued his teaching career at the Conservatoire National Supérieur de Musique de Paris where he was Professor of Improvisation. He also had responsibility for the "Musique Sacrée à Notre-Dame de Paris" (Sacred Music at Notre-Dame de Paris) and with it, the task of running the choir school, training professional singers, and administering the cathedral’s musical activities. His career as a concert organist has taken him across the world, where he has been the guest at major festivals, both as a soloist and accompanied by an orchestra. He is constantly in demand in Europe, the US, Eastern Europe and Japan for concert tours and masterclasses. Lefebvre has made a number of recordings (F. Couperin, N. de Grigny, M. Dupré, M. Duruflé, C. Franck, F. Liszt, R. Schumann, C. Tournemire, the Francis Poulenc concerto, etc.). He is considered to be one of the archetypal improvisers in French organ playing.